Time is flying by, and the weeks just keep passing without an update! 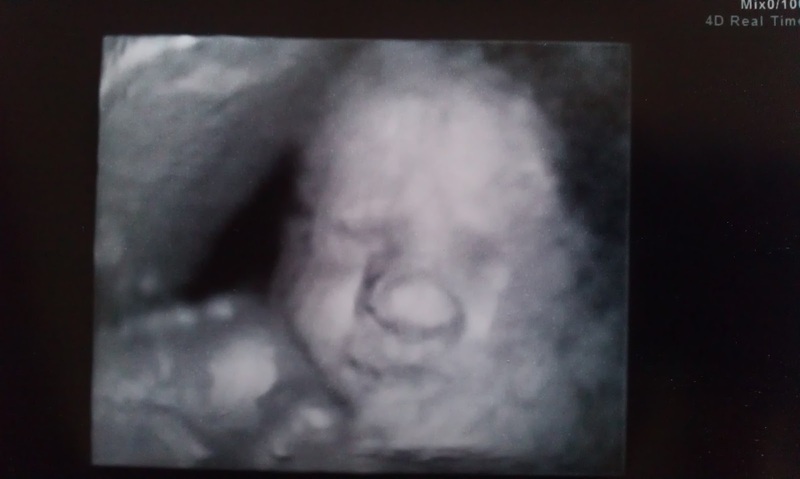 I was 33 weeks on Tuesday and have been feeling quite well this past month or so. My heartburn is significantly better, maybe from the hazel wood necklace I wear... or maybe just 'cause... my rash is pretty much gone... making it unlikely it was PUPPS after all... and baby is growing and moving like crazy! We went to Maine Med last week (Mom, Dad, Wes and I) and got another glimpse at the bean... he looked great, and measured right on track so they said to "go home and proceed as normal." Wish that suggestion had come a few months sooner- would have saved some stress and heartache... but it does look like all is well and we will continue to shoot for our June 29th D-day! He was over the 3lb mark, and placenta and cord were functioning well- no indication that anything is/was amiss. She tried to get some 3-D pictures, but little boy wouldn't cooperate! He was, like Wes; face up into my placenta. I found it funny, as Wes was doing this too at one of our scans. She took a shot, but where his nose was pressed into me, it sort of came out squished looking! He was head down at that appointment- not that it matters! At my 32 week check-up last week they noted a bit of protein in my urine, and will followup next visit. The "being pregnant" thing isn't slowing me down yet. I do get tired by the end of the day, but can still do all of my normal activities. Beth and the folks at OakWoods are on notice that I'll only continue to "work" as long as I can handle it! I figure a few more weeks of the big barn, then I'll manage with OakWoods until the end of school when they will be home anyhow. In other news I had a bad toothache and ended up with an extraction yesterday. It certainly wasn't something I anticipated... but better than a broken ankle I suppose! I had to take some pain meds to function thru the weekend which had me worried, but the Drs said it was fine... and Wyatt kept up his serious kicking and punching, so I was pretty reassured that everything was ok with him. I guess that's about it. We are just working our way thru the spring, each day getting us closer to "our" birthday! I have days when time seems like it's at a standstill, and then others when I can't believe how quickly things are going! 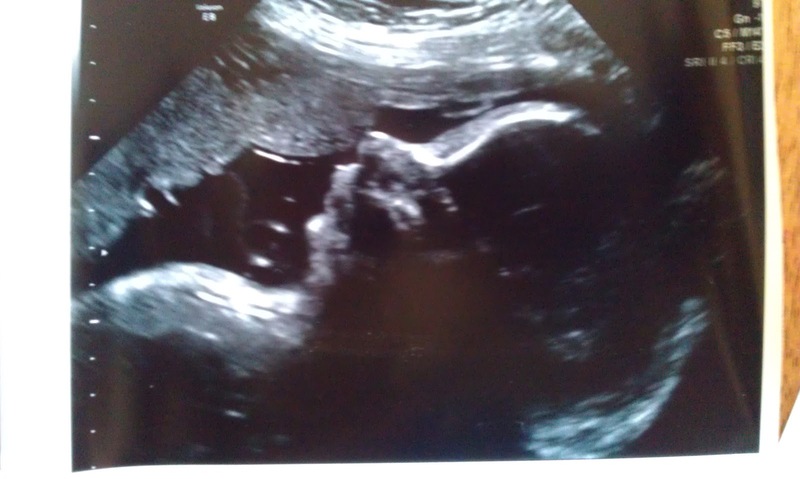 I am very anxious to meet this little one, and can't wait to hold him in my arms. It won't be too much longer now. I got out all the baby toys and washed them all. They are waiting in his closet... I have some laundry to do once we decide on the first few outfits. The swing and pack-n-play need to come down and get set up still and I need to wash the car seat cover. Then I was also starting to think I should pack a bag in the not too distant future. Wes is doing well with the notion of a new baby, and me going to the hospital. I take the opportunity to talk about it when the chance arises, and I think he "gets it" as well as can be expected. watching the blog and awaiting the news.... sounds like everything is going well... keep us posted!!!! !